This is a building a balanced team quantitative market analysis ppt example. This is a six stage process. The stages in this process are building a balanced team, quantitative market analysis, define value anchors, field readiness and rollout, cross organizational planning, release planning. Exert influence with your thoughts. 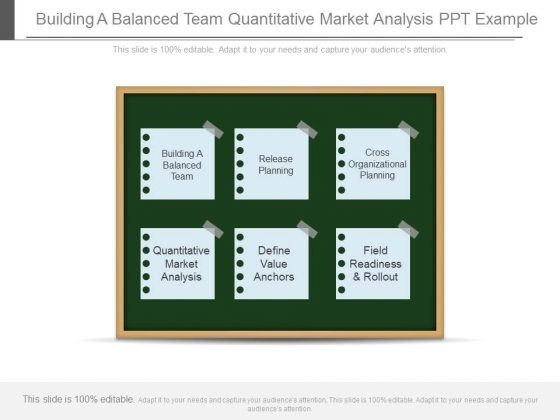 Let our Building A Balanced Team Quantitative Market Analysis Ppt Example be the conduit.